Provide control of insulation thickness. Control insulation extruders or capstan drives. Integrate seamlessly with Proton Products SL and SLR Series Speed and Length Gauges for line speed measurement. Are available in different levels of user-interface and control algorithm sophistication to suit applications and budgets as required. Economical insulation diameter control for standard extrusion applications. For control of one extruder from one diameter gauge. Integrates with Proton Products DG Series Diameter Gauges for core and insulation diameter measurement. 2-row, 5-digit, 7-segment LED display. Single axis (NEXiSTM CS2G) model controls the extruder based one axis of diameter measurements. Double axis (NEXiSTM CS2G-XY) model controls the extruder based on two axes of diameter measurements. Panel mounted; optional stand-alone enclosure is available. Mid-range insulation diameter control with sophisticated features. For control of one extruder from one or two diameter gauges. 320×240 pixel graphical black-and-white LCD display. Auto-compensation control algorithm adjusts P-term as a function of insulation cross-sectional area. Statistical analysis and Statistical Process Control (SPC) for minimizing material consumption. Insulation diameter or wall-thickness control for advanced extrusion applications. For control of extruders from multiple diameter gauges. 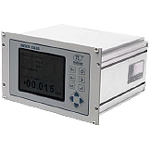 Integrates with Proton Products DG and DG-k Series Diameter Gauges for core and insulation diameter measurement. Single output controller (NEXiSTM CS1000-S) model controls one extruder for single-layer insulation applications. Twin output controller (NEXiSTM CS1000-T) model controls two extruders for double-layer insulation applications. 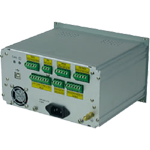 19” rack mountable controller unit; optional stand-alone enclosure is available. 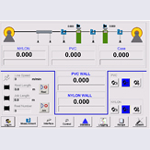 Graphical user interface software handles multiple extrusion scenarios (wall-thickness, hot-cold). Graphical user interface software may be installed on a user-supplied PC or on an optional NEXiSTM CS5G 14-inch colour LCD touch-screen industrial PC. Control of insulation extruder to maintain a target insulation capacitance. 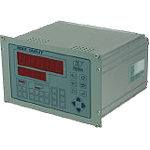 Integrates with Proton Products CG Series Capacitance Gauges for insulation capacitance measurement.